The plan is being written by volunteers commissioned by Wivenhoe Town Council under the direction of a Steering Group & organised into Working Groups which change as needed. All meetings are open to the public and new members are welcome. The Steering Group meets on the first Wednesday of each month, 7.30 pm in the Council Chamber of the Wivenhoe Town Council offices, 77 High Street. Consider the potential for community benefits from changing land use designation. Pull together the various contributions to the plan, check for coherence and adherence with Neighbourhood Planning regulations. This group is not the originator of the WNP’s contents, but acts to collate and co-ordinate the plan’s compilation. Maintain a strategic overview of the process, monitoring to ensuring that it is completed on time. The planning group comprises as a minimum one member of each working group, as well as the Steering Group. The planning group meets quarterly to review progress and assess risks to the progress of the plan. Anyone wishing to make a contribution to the work of one of these Working Groups is welcome to contact the Steering Group using the contact form below. The groups’ initial task was to help form the Vision for Wivenhoe. This is one of the requirements of the neighbourhood plan. The working groups’ work resulted in proposals to the steering group from which the Vision statement could be prepared. Their proposals also formed the basis for the November 2014 public consultation. Heritage and Townscape including: History, development, character, conservation and preservation needs. Residential development and land use including: Housing generally, Green Areas within Development, Types of Building, Locations, Ownership/Renting options. 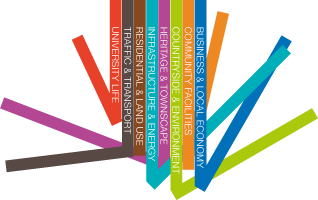 The Working Groups finished work on these eight categories in December 2014 and were re-configured for the next phase of the work, co-creating a draft Plan.